Fish-friendly black mesh ensures a less stressful catch. 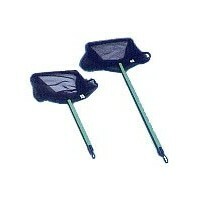 Unique net design has been engineered for the health & safety of your fish. Quality construction using durable, rust-proof materials. Safe for both salt & fresh water fish.